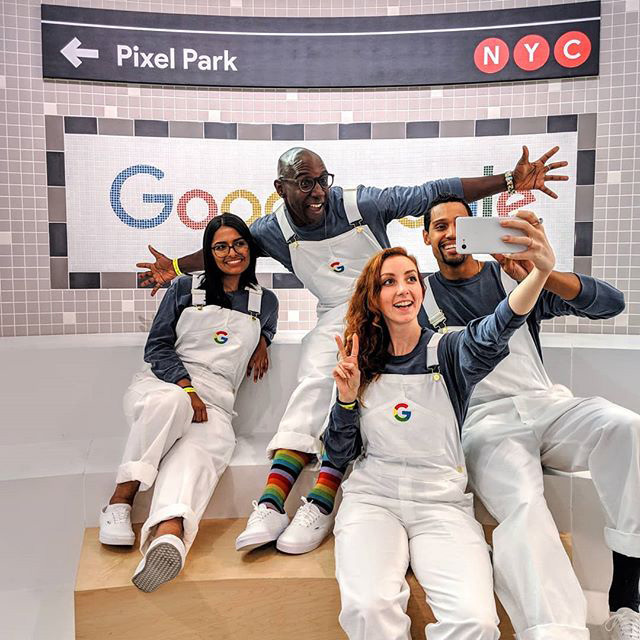 This is clearly a professional photoshoot promoting the wide-selfie feature of the new Pixel 3 phone but look at those white Google logo branded overalls or dungarees. Would you wear those and hang out in a NYC subway with your friends? This was shared by Google on Instagram.